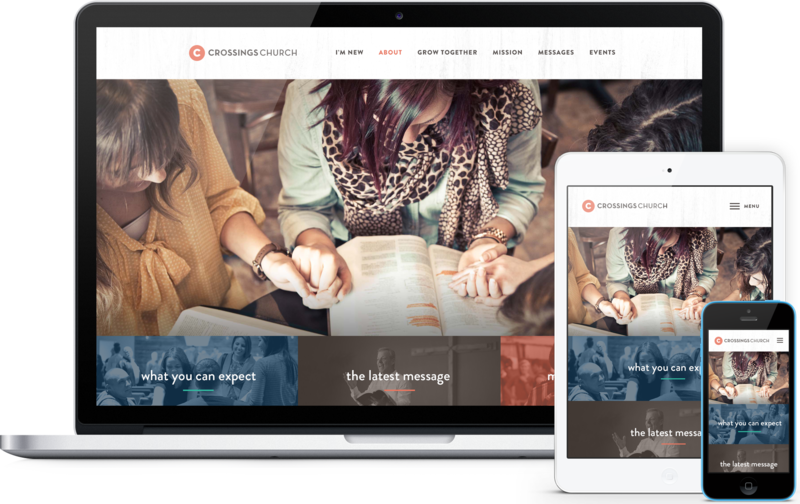 Abide is an engaging church website design, displaying large graphic areas, a content-rich homepage, and great typography. 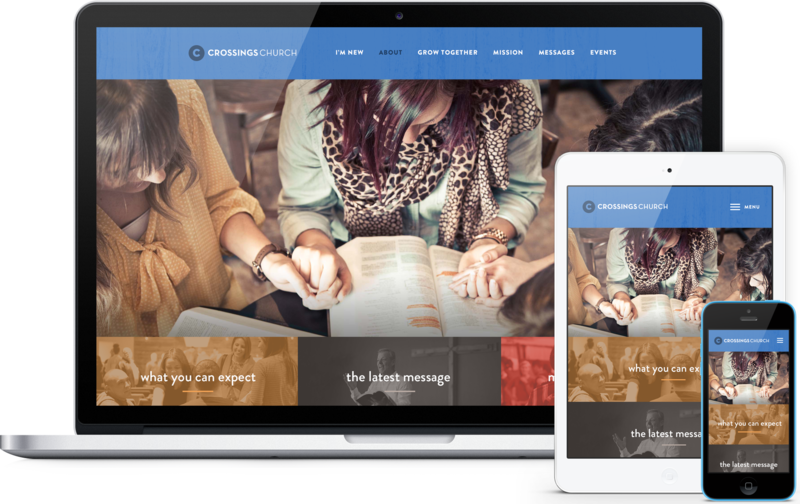 Abide features a large parallax image rotator and full-width quick link graphics, creating a very visually engaging website design from the top down. The homepage was designed to serve both visitors and members with a large "mission/vision" and "About Us" section including video area, the latest sermon, featured announcements (blogposts), upcoming events, and a service times area.